Over recent years, it has been with pleasure that Traveleyes has travelled with students from International Schools to Romania, Morocco, Granada, Prague, Tuscany and Vienna, who have acted as sighted guides for their vision impaired fellow travellers. Our school trips are open to vision impaired and sighted travellers who will be accompanied by our International School students. Our vision impaired customers will enjoy the holiday at the same discounted price that’s paid by the sighted travellers. Sighted travellers will have a lighter than usual guiding role on this trip since most of the guiding will be done by our students. 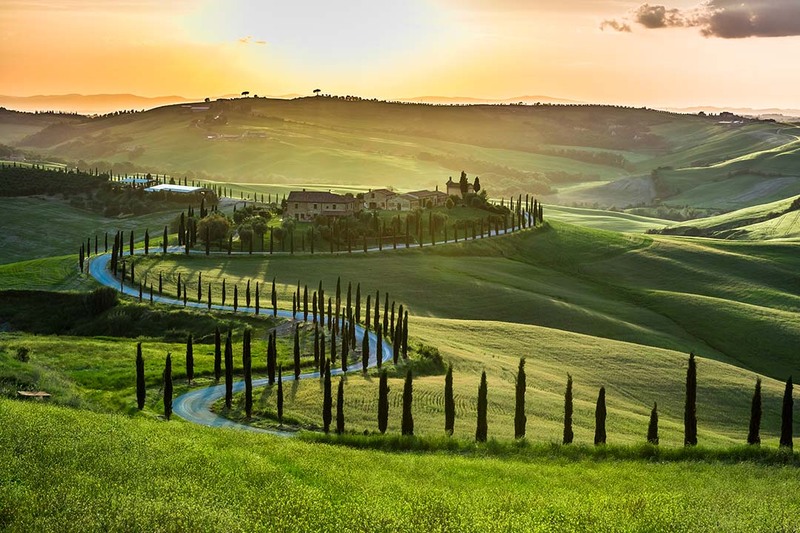 This special 9-day trip to Tuscany is based in the rolling hills of Montieri, the perfect platform from which to explore Tuscany’s more celebrated historic sites and delve into the cultural delights of Tuscan Italy. 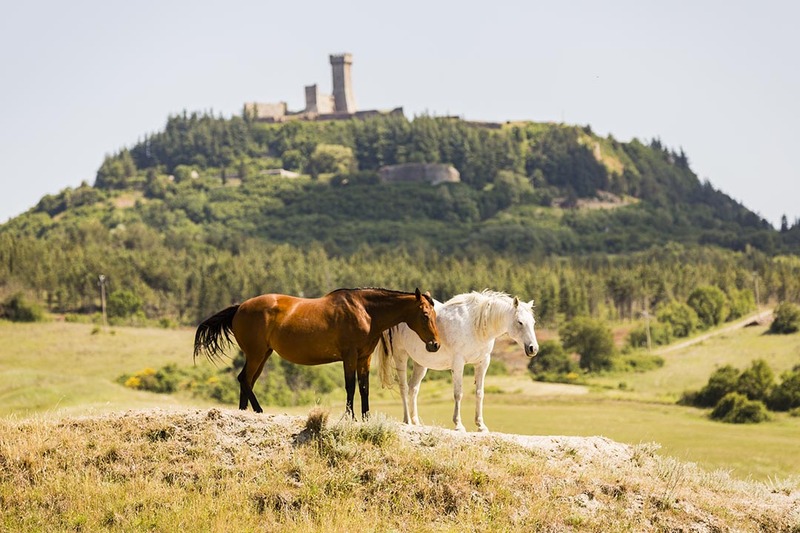 Kicking off with a language class, we’ll also set out on guided hikes and two horse rides through the Tuscan countryside surrounding Montieri. 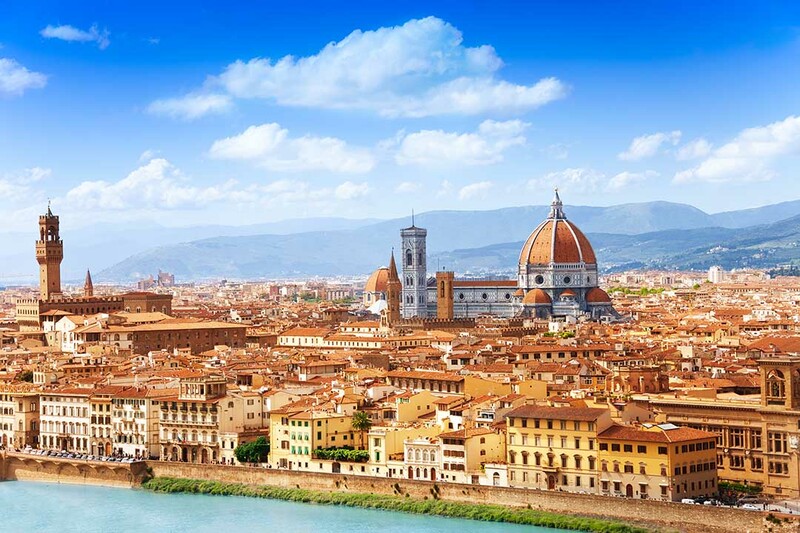 Our excursions will take us to the culturally rich city of Florence, birthplace of the Renaissance. 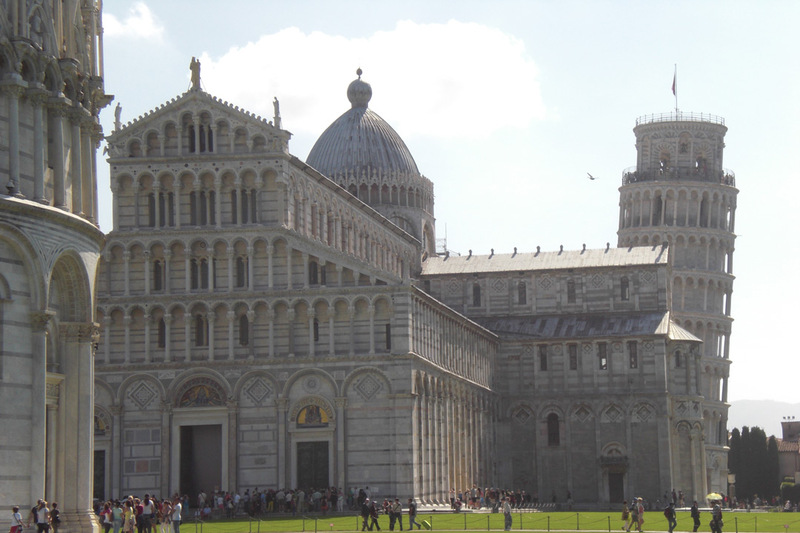 We’ll follow this up with visits to the charming city of Siena and gorgeous San Gimignano and we’ll of course venture to the iconic city of Pisa and nearby Lucca. In addition to this, we’ll spend a day in the less well-known but equally captivating Massa Marittima and Follonica. Journey to Florence Airport in Tuscany. We’ll arrive in the early evening at 7.25pm and have free time to find somewhere for dinner whilst we wait for the school group to arrive at 10.30pm. We’ll then transfer together from Florence to our accommodation in Montieri which will take around one hour and a half. We’ll enjoy a bit of a lie-in this morning to recover from our journeys before meeting for a late breakfast. Our first activity will be to immerse ourselves in local Italian culture with a language class. 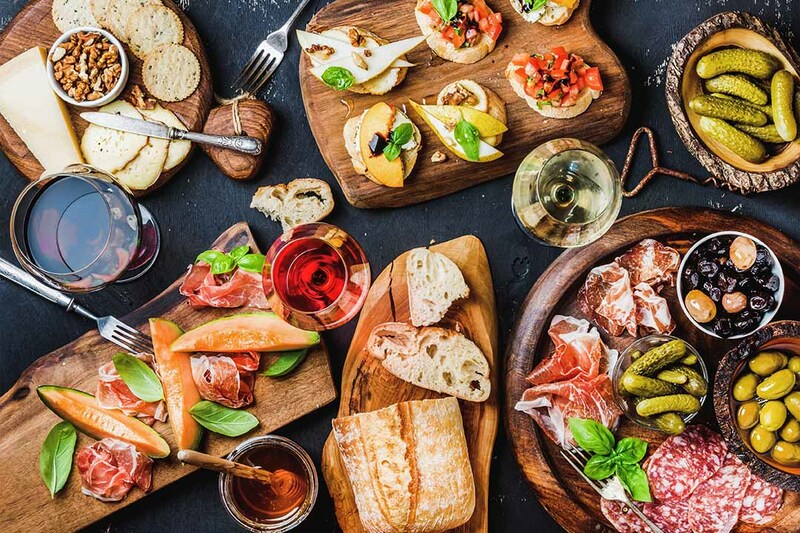 This introduction to Italian will teach you the key phrases and the basics of a simple conversation all with a dash of fun Italian culture to prepare us for a week of Tuscan living. We’ll then enjoy a typical Italian lunch in our accommodation before enjoying an afternoon stroll through the Tuscan hills with a guide. We’ll also have time to explore the local town of Montieri. The town has evaded touristic development so offers a relaxing and authentic Tuscan vibe that contrasts with the popular highlights of Florence and Pisa. This evening, we’ll return to our accommodation for dinner together. All meals included. Overnight in Montieri. 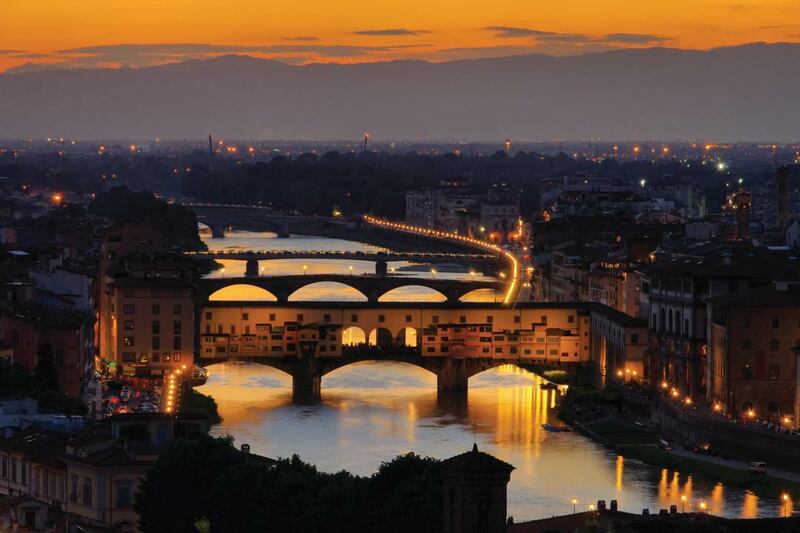 Travel through beautiful countryside to the spellbindingly beautiful city of Florence. Spread along the banks of the Arno River, the city has been a bustling hub of craft, commerce, culture, art and science for centuries. 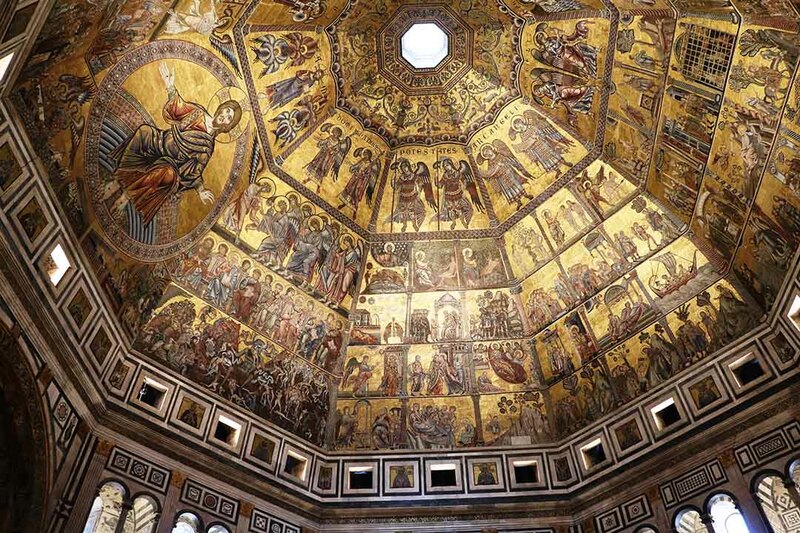 Florence is the birthplace of the Renaissance movement, and is synonymous with names such as Michelangelo, Leonardo Da Vinci, Botticelli and Galileo among others. Upon arrival we’ll explore the historical centre of Florence, taking time to admire the Ponte Vecchio, Piazza della Signoria and Palazzo Vecchio before walking along Via dei Calzaiuoli and through the small narrow streets that will take us to Dante’s house and family chapel. Next, head to Duomo Square, home to a striking red, white and green cathedral with one of the biggest domes in the world. Our tour will conclude with the Piazza dell’Unita d’Italia, home to San Lorenzo’s church, the Chapel of De’ Medici Family. Our lunch will be enjoyed in a local restaurant in Florence. This morning we’ll take a walk into the historic local village of Montieri where we’ll have time to have a meander and get an ice cream in the local café. 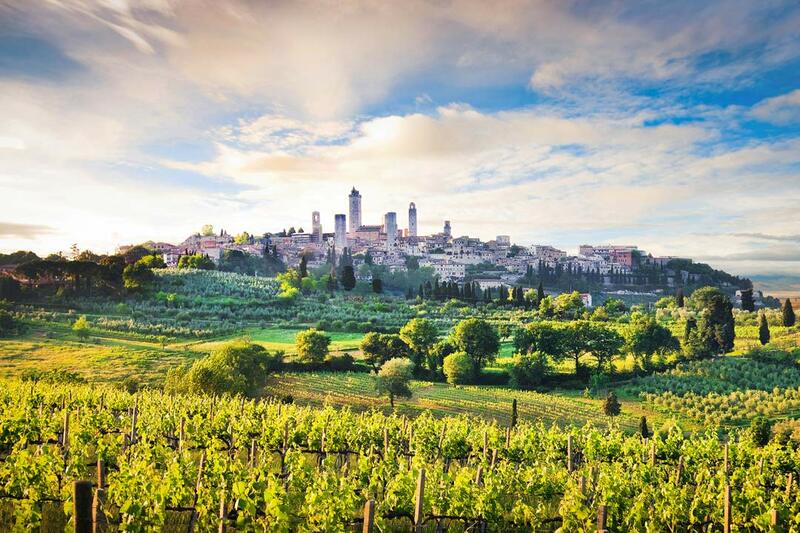 We’ll then head into the surrounding Tuscan countryside with where we’ll enjoy a picnic together in the outdoors. We’ll then return to the hotel for an afternoon of horse riding. 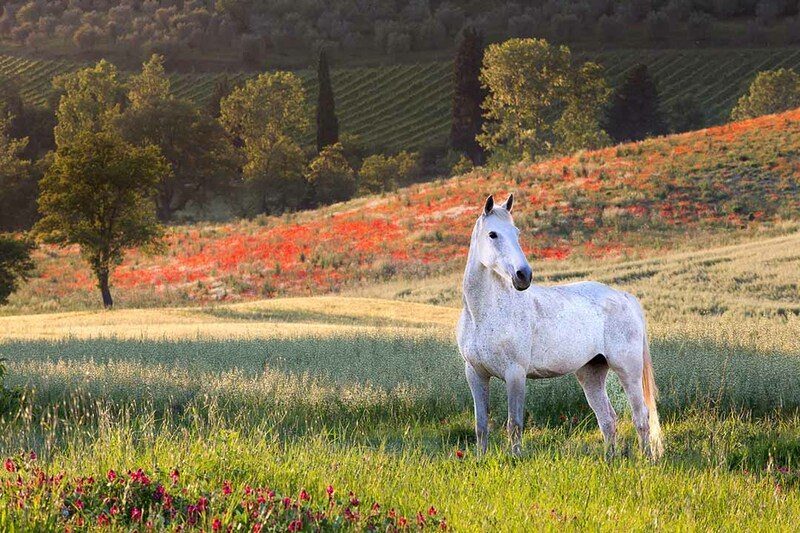 We’ll split into two groups and take it in turns to ride a horse through the Tuscan hills while the other group can enjoy free time swimming in the hotel’s pool. 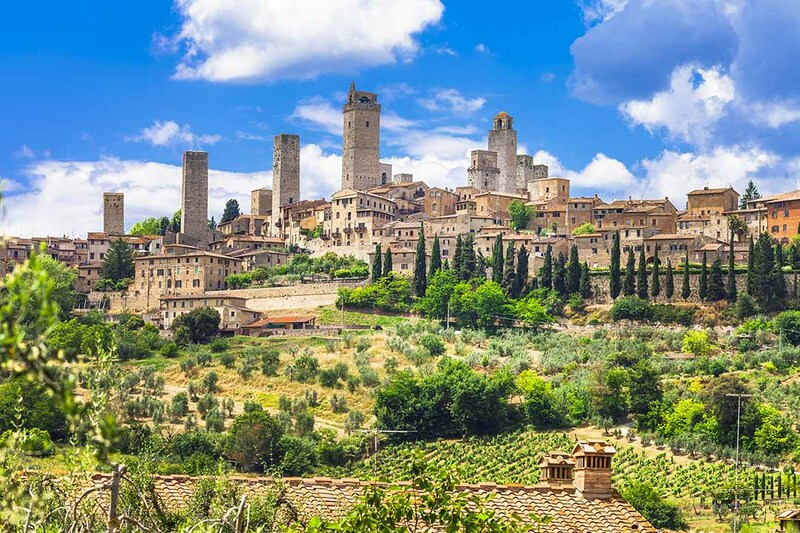 We’ll begin by driving through hilly Tuscan countryside for an hour and a half to San Gimignano, a charming UNESCO World Heritage Site famed for its medieval architecture. The town is comprised of tall stone towers that were built centuries ago as rich local families competed each other to have the tallest tower. There was once 75 towers, but now only 14 still stand, which is more than any other Tuscan town. We’ll also enjoy some free time in the town for you to explore and perhaps sample some of Italy’s tastiest gelato. 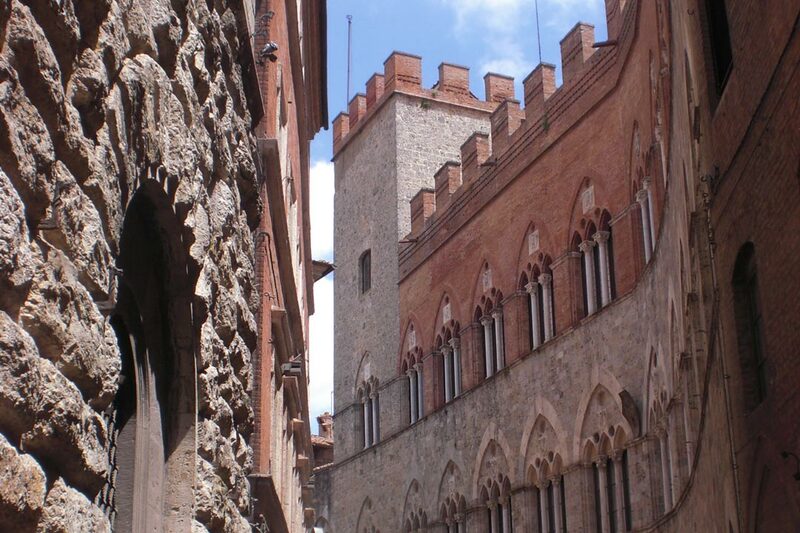 We’ll then travel for another hour to Siena where we’ll take a break for lunch. 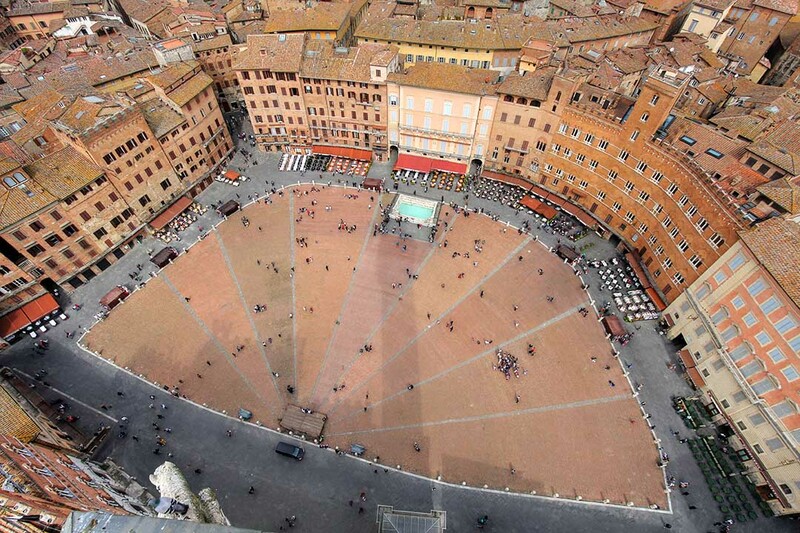 Our exploration of Siena will begin with the Church of San Domenica, Piazza del Campo and Fontebranda – a medieval fountain. 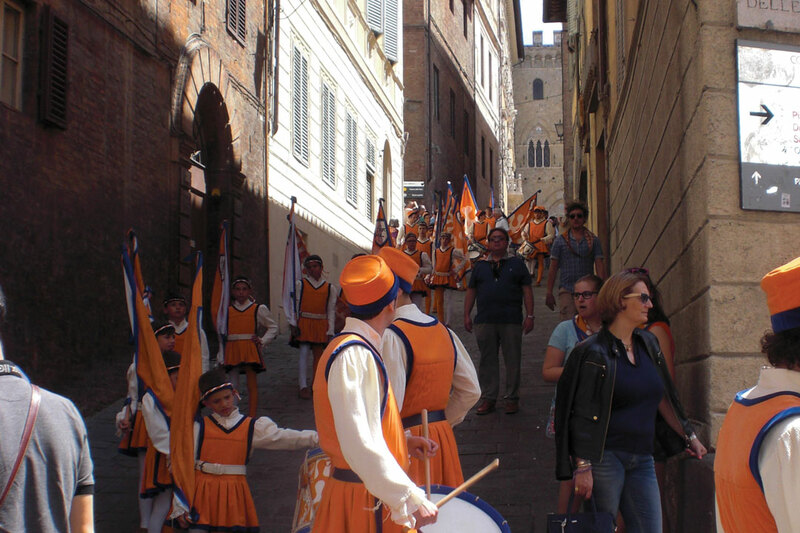 During our tour, we’ll be walking along the route of the famous Palio, an event where jockeys ride horses in a race through the cobbled streets of the city. After a bit of free time for shopping and exploring, we’ll return to our hotel in Montieri. 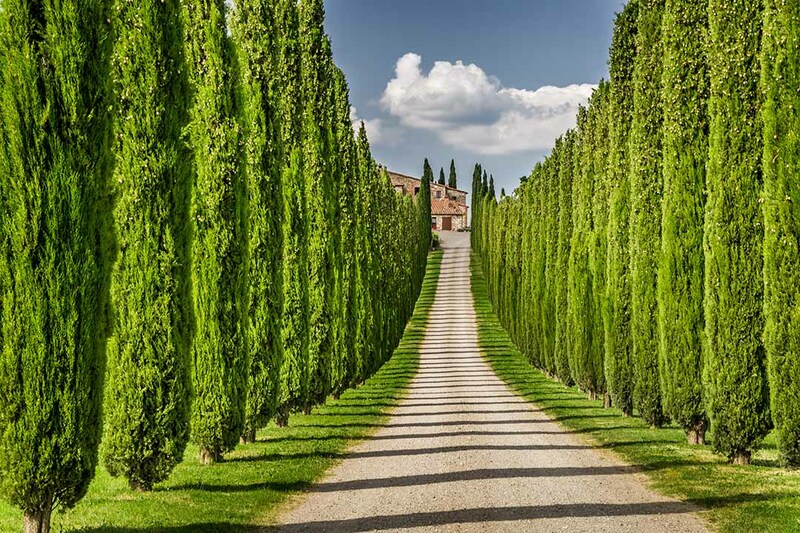 This morning we’ll journey a short distance to the nearby town of Massa Marittima, an artistic city nestled among the Colline Metallifere – the ‘metal-producing hills’. We’ll explore the ancient steep alleyways that weave through the historic heart of the city up to the summit. From here, we’ll admire the picturesque views that stretch out over the valley and down to the sea. Next, head to the city’s main square where you’ll find the Cathedral of Saint Cerbonius, the Town Hall and Fonti dell’Abbondanza, a fresh water spring and famous fresco. Next, we’ll travel to the seaside town of Follonica for some free time before returning to our hotel for the evening. Today we will enjoy another day in the local countryside as we take a morning walk and learn more about the fauna and flora of Tuscany. On our way, we’ll tuck into another delicious Italian lunch al fresco before either walking or taking transportation back to the hotel. In the afternoon, we will have another opportunity to ride Italian horses under the Tuscan sun and enjoy a bit more time relaxing in the swimming pool. 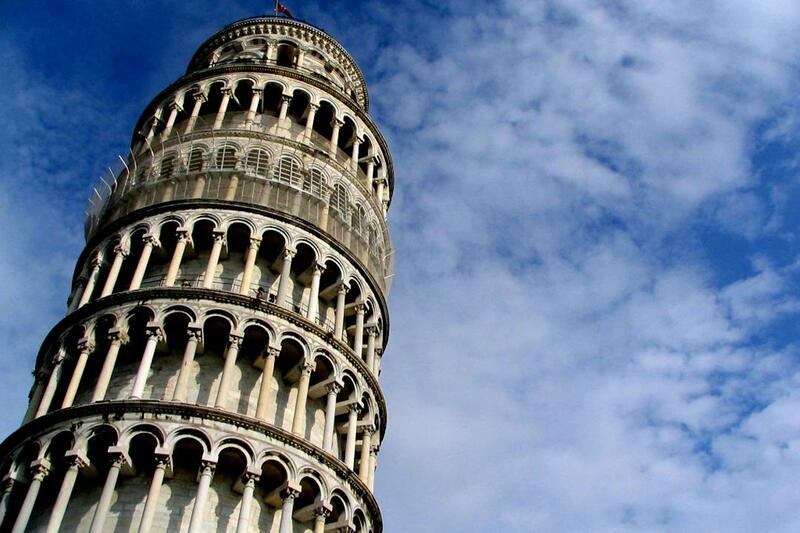 Our excursion today takes us to the iconic city of Pisa. 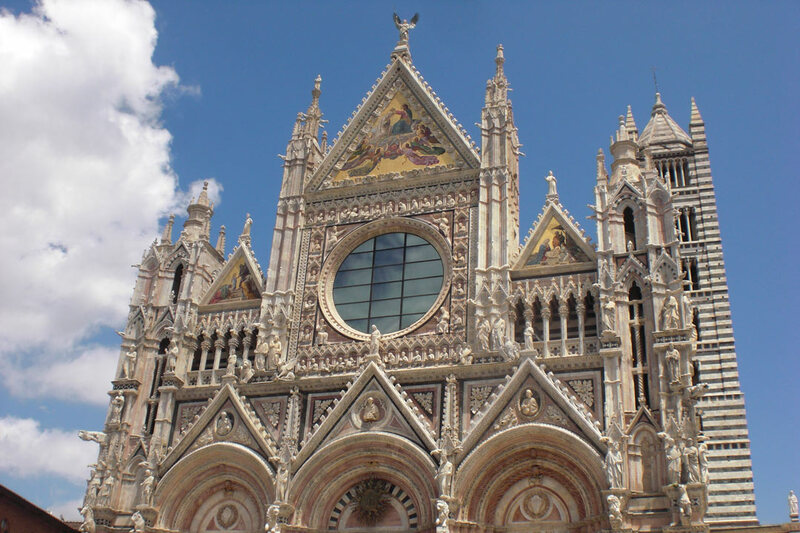 The enjoyable journey will take about 2 hours through Tuscan countryside before arriving at the Piazza del Duomo, known by some as the ‘Meadow of Miracles’. 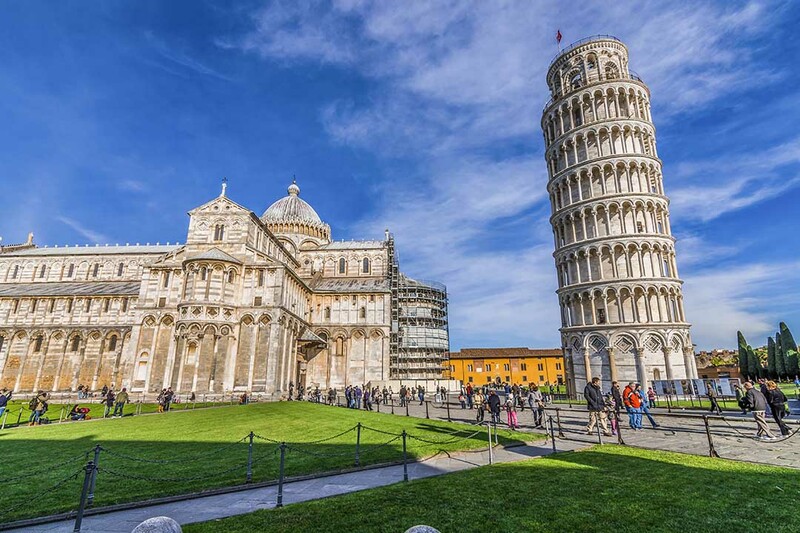 Once a powerful sea-faring republic, Pisa’s great riches are showcased in the gorgeous basilica, baptistery and bell tower – now known as the Leaning Tower of Pisa. 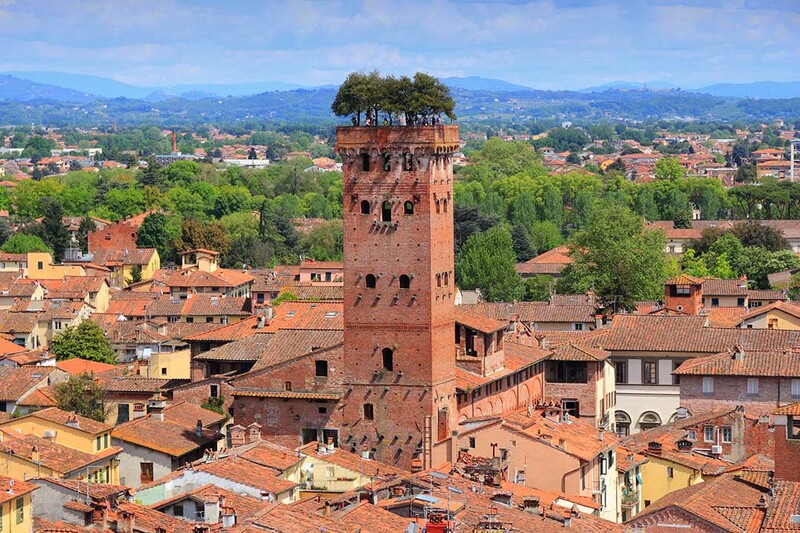 Following our visit, we’ll transfer to nearby Lucca, a city that is enclosed by a perfectly preserved star fort. 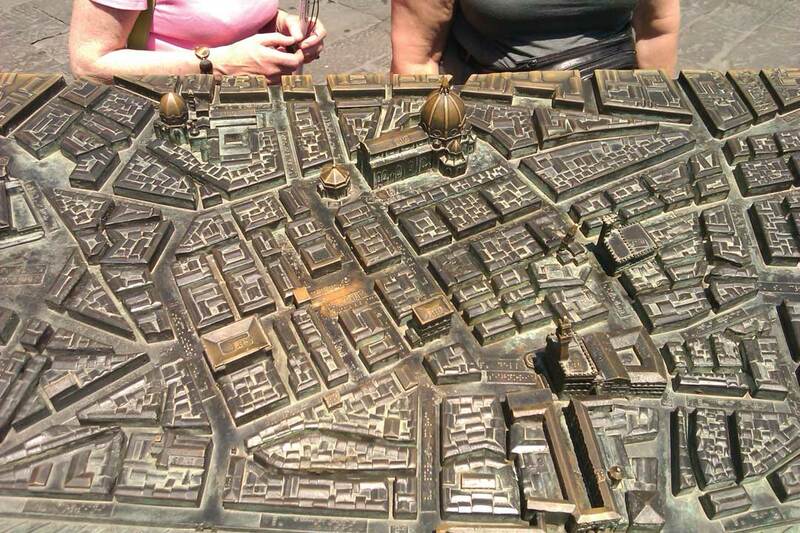 We’ll enjoy lunch and enter the city walls for free time where you can shop and enjoy a drink or ice cream in a café. This morning we’ll transfer to the airport for our return journey home. Single rooms are available upon request only and are priced at £180.